A Wildcard SSL Certificate saves you money and time by securing your domain and unlimited sub-domains on a single certificate. Wildcard certificates work the same way as a regular SSL Certificate, allowing you to secure the connection between your website and your customer’s Internet browser – with one major advantage. Still confuse about this Wildcard SSL? Then keep reading to know more about Wildcard SSL. It is also worth noting that you only need to validate the main domain to have the certificate issued. Validation for each subdomain is not necessary. Secure unlimited subdomains. Just with a single wildcard SSL certificate, you can have all your subdomains altogether secured, without purchasing multiple SSL certificates for each subdomain. Easy to manage. A wildcard SSL certificate releases you from spending much time and effort on deploying and renewing many individual SSL certificates. Although a wildcard SSL certificate is more expensive than a single domain SSL certificate, they are cost-effective when considering the fact that you can secure all subdomains along with the main domain using only one certificate. When you use a wildcard SSL certificate on several servers, you’re using the same private key on them as well. It is risky because if one server is compromised, then all others would be vulnerable, too. Domain Validation. This is the most common and affordable wildcard SSL certificate on the market, which is usually issued within a few minutes after purchase. Organization Validation. This wildcard SSL certificate type needs a little extra vetting process, requiring you to prove that you own the domain while your organization is legit. In most cases, it takes a couple of days to issue a wildcard SSL certificate and small, medium, and large organizations or companies prefer to this service. Some people may wonder whether there are extended validated wildcard SSL certificates. Unfortunately, we fail to find any wildcard SSL certificates that can provide green bar at least for now. When to Consider a Wildcard SSL Certificate? Firstly, wildcard SSL certificates are designed for development teams, who usually need to deploy and secure multiple test websites or applications in the development environment. A wildcard SSL certificate helps simplify the development process of SSL by using a single certificate to secure all subdomains. Secondly, wildcards SSL certificates are popularly used in hosting environments. You can deploy it across multiple websites with a single IP address. Thirdly, wildcards SSL certificates have been the most affordable way for businesses to protect their web assets when which are linked to a same top-level domain. How to choose a wildcard SSL certificate? Wildcard SSL certificates are big money-savers. However, finding the right wildcard SSL certificate for your business is not easy and here’s a list of suggestions. Price: The first factor most people would consider when it comes to purchasing a wildcard SSL certificate is the price. Price is not everything but still plays an important role in choosing such a versatile certificate. You should fact the cost against the savings; in other words, you should calculate the price of securing each page individually and that of a wildcard SSL certificate. In most cases, a wildcard certificate will be much more cost-effective after all you can use a single certificate to secure unlimited number of subdomains. Level: A wildcard SSL certificates come in two different validation levels: Domain Validation and Organization Validation. So, if you’re running personal blog site or if your identity and reputation are not integral to your success, you can probably settle for a DV wildcard SSL certificate. But if you’re selling online, you should consider an OV wildcard SSL certificate. Certificate Authority: Since different certificate authority (CA) enjoys different reputation, before installing a wildcard SSL certificate, you should be absolutely sure that the CA you’re going through is trusted by the web browsers. Beyond that, make sure to select a CA that inspires trust and positive name recognition. The wildcard SSL certificate comes with a trust seal that indicates your site is protected by the CA that issued it. Better CAs have better trust seals and these, in turn, can lead to boosted trust and increased conversions. Reissuance: This is important because if you ever wish to add a subdomain to your wildcard SSL certificate in the middle of its valid period, you’ll need to reissue the entire certificate. If your certificate doesn’t come with unlimited reissuances, this could cost you money or time or both. Fortunately, at this point, most wildcard SSL certificates do come with unlimited reissuances, but you’ll definitely want to make sure just to be safe. 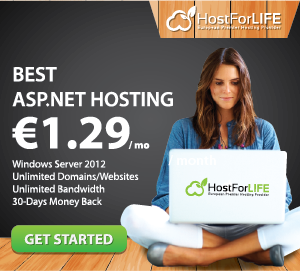 If you’re looking for hosting provider that support Wildcard, you can rely on us. We offer affordable Wildcard SSL pricing.